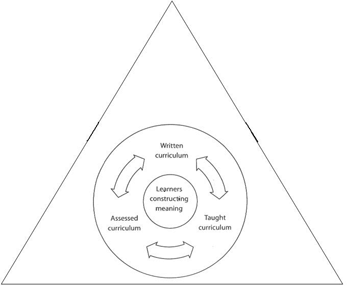 ...Our 3C education model revolves around the ‘Inquiry based learning’ through the ‘3C approach’ which develops the character, competence and thus content in a child, and ensures that the child receives a holistic education. ...Our holistic education program is designed keeping in mind the best of international and our indigenous learning practices, which in turn provides the best learning environment to each Childs individual learning requirement. ...Our child centric approach assists the child to give meaning to their understanding of the world. ...Our trans-disciplinary approach caters to the needs of the individual learning styles of the child. MDN Edify Education has developed the 3C curriculum aimed at fulfilling the vision of creating progressive thinking Individuals who will create a positive change in the society. 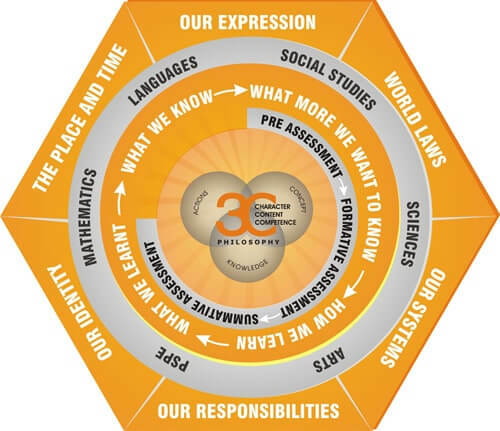 The 3C Concept seeks to create a social place of learning and knowledge. Where the Why is encouraged and the What is nurtured. There are 6 Trans-disciplinary themes that is aimed at enabling the children to construct their learning through meaningful everyday life experiences which children can relate to. Thus the entire process of learning becomes more contextual, interesting and definitely more memorable. Assessment is the gathering and analysis of information about student performance. It identifies what students know, understand, can do and feel at different stages in the learning process. SIX essential elements of learning:- The displaying of Character, The understanding of Concepts The acquisition of Knowledge, The mastering of Competence, The development of Content, And The decision to take responsible Action.